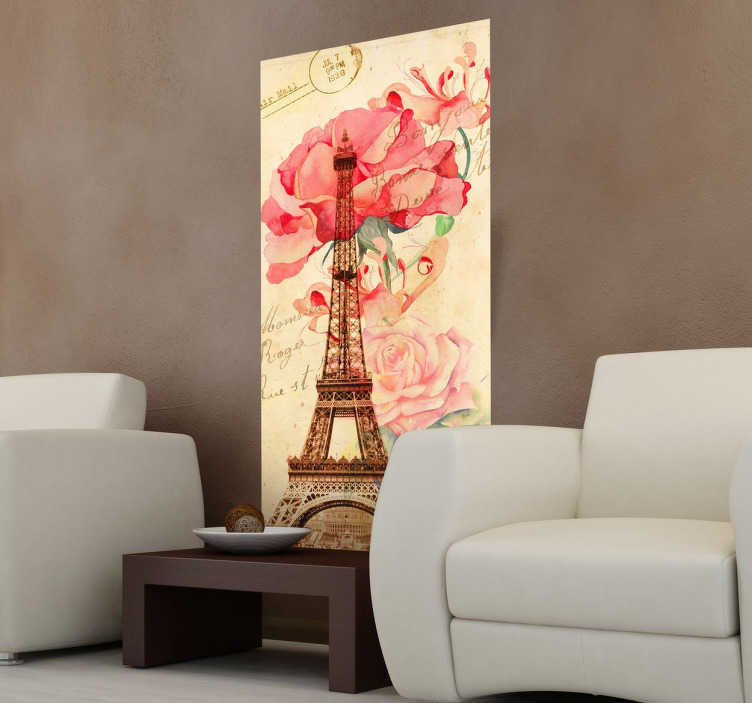 A wall mural from our collection of retro wall stickers illustrating the famous and romantic Eiffel Tower to decorate any space. Do you love this magnificent touristic attraction? Looking for a vintage decal to give your place that unique touch of originality? If yes, you have found the perfect decal that will surprise your family and guests.